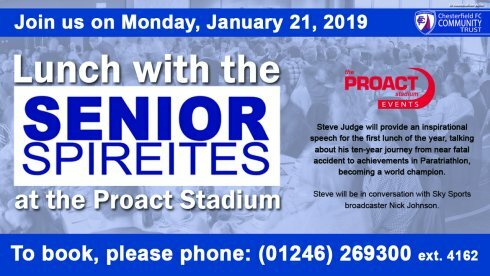 World Champion Paratriathlete, Steve Judge, will be our next Senior Spireites Lunch guest, which will be held on Monday, January 21, 2019 here at Proact Stadium. Steve will give an inspirational speech at our first lunch of the year, telling us all about his ten-year journey from near fatal accident, to major achievements including becoming a world champion Paratriathlete. 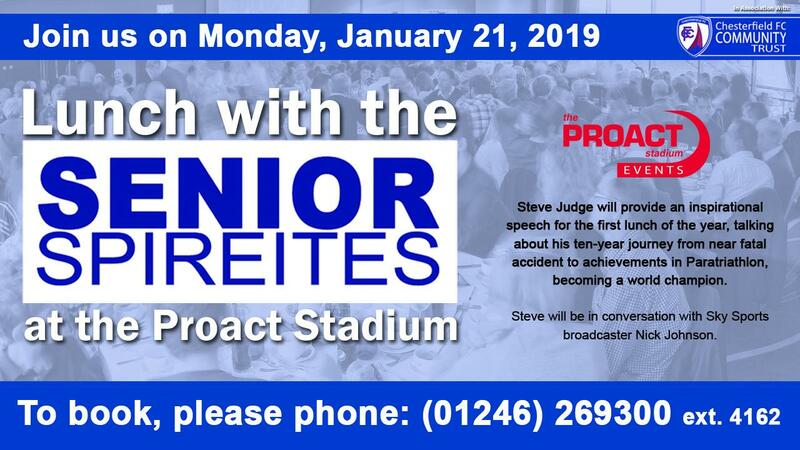 Steve will be in conversation with Sky Sports’ Nick Johnson at the lunch, which costs just £11.95 to attend. Booking is essential for this fantastic 2-course lunch event with doors opening at 12 Noon and lunch served from 1.00 pm.